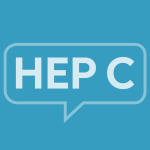 Many individuals with hep C experience a variety of comorbid conditions, including high blood pressure. Comorbid conditions are conditions that are occurring at the same time as one another. If an individual has hepatitis C and high blood pressure at the same time, these are considered comorbid. In some cases of high blood pressure, the cause is unknown. In other cases, it may be the result of a medication or another condition, such as a thyroid or kidney issue. Certain factors can increase an individual’s risk of developing high blood pressure. Younossi ZM, Stepanova M, et al. Associations of chronic hepatitis C with metabolic and cardiac outcomes. Alimentary Pharmacology and Therapeutics. 5 Feb 2013; 37(6). Available from: https://onlinelibrary.wiley.com/doi/full/10.1111/apt.12234. Accessed November 17, 2018. What is High Blood Pressure? American Heart Association. http://www.heart.org/en/health-topics/high-blood-pressure/the-facts-about-high-blood-pressure/what-is-high-blood-pressure. Published October 31, 2016. Accessed November 17, 2018. What is High Blood Pressure? American Academy of Family Physicians: familydoctor.org. https://familydoctor.org/condition/high-blood-pressure/. Published October 27, 2017. Accessed November 17, 2018. Portal Hypertension. Cleveland Clinic. https://my.clevelandclinic.org/health/diseases/4912-portal-hypertension. Published November 16, 2017. Accessed November 17, 2018.